Authentic Japanese folklore with male vocals and various traditional drums ('Taiko'). Percussive and urging. Traditional Japanese drums and percussion instruments. Energetic and sharp. Sparse and folkloristic track featuring gong, Japanese transverse flute ('Shinobue'), high-pitched percussion and voluminous drums. Percussion instruments and drums; ideal for impressive and authentic documentaries, history features and movies set in Japan. Repetitive male vocals, punding drums and a mysterious gong, later joined by traditional flute. Fast and determined. Sharp and metallic percussion plus various traditional drums. Infectious drumming in traditional Eastern Japanese style. Great for anime, games and filmes that need some authentic Japanese soundscapes. Original Japanese drums, flute and percussion. For travel and culture magazines, sophisticated TV, anime and movies. Authentic, raw, percussive. With gong, hirataiko and shimetaiko. Gong, flute and drums. Mysterious, enigmatic, serious. This georgeous composition combines traditional Japanese instruments such as the shakuhashi (a bamboo flute) and the koto with classical Western string instruments. Mesmerizing, relaxing, spiritual. Japanese drumming meets cello, flute and shamisen, the traditional plucked string instrument. Fascinating, authentic sound that radiates adventure, history and a rich culture. Lively and spirited, this track evoked images of Japanese landscapes and traditions. 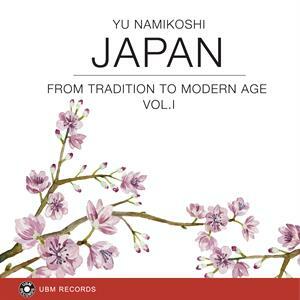 Meditative reflection of Japanese culture and identity with strings, flute and drums. Western piano and strings meet Eastern instruments such as koto and shakuhachi in this unusual mix of musical cultures.